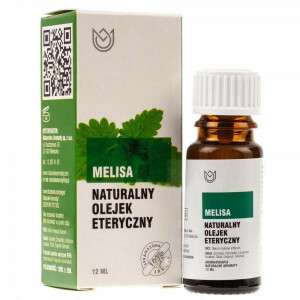 Melissa oil used as a means to improve sleep, reduce anxiety, heal wounds. Melissa protects the liver and heart, has bactericidal properties, supports the fight against diabetes, treats herpes labialis. It reduces chronic inflammation, protects against viruses and relieves pain. Regulates hyperthyroidism.